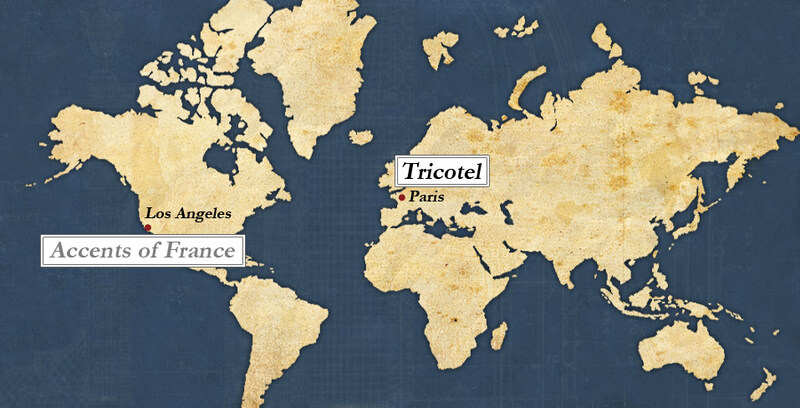 Society institutions Tricotel was founded in 1848 by Mr. Tricotel. 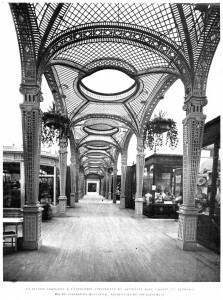 Originally, the company manufactures and installs fences chestnut called girders to mechanics and is developing rapidly and is directed towards the development of outdoor spaces. 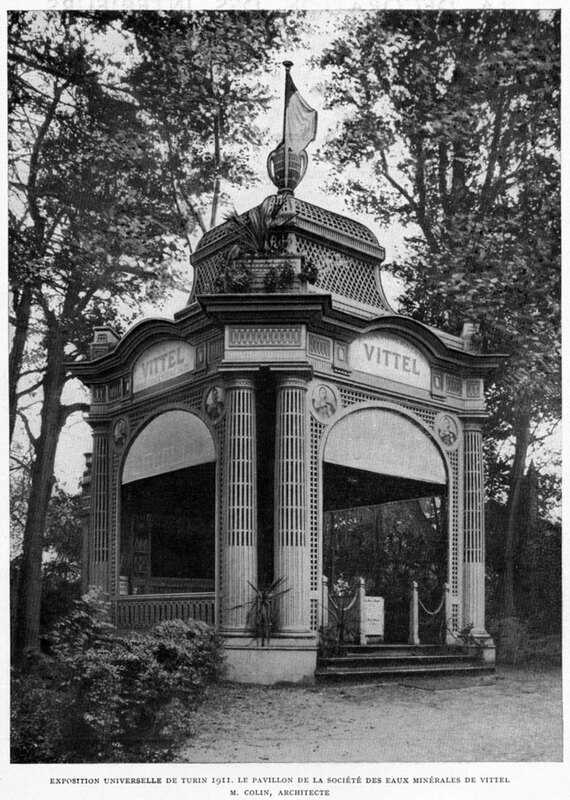 At the end of 19 th century, the catalog Tricotel includes, besides all kinds of fences, kiosks and rustic cabins, arbours, cradles and perspectives, chairs and garden furniture and trellis art and architecture. This is when the great era of revival in France and trellis company builds its reputation by working with leading architects gardens, including Henri and Achille Duchêne, Landscape Architects (1841 – 1947). 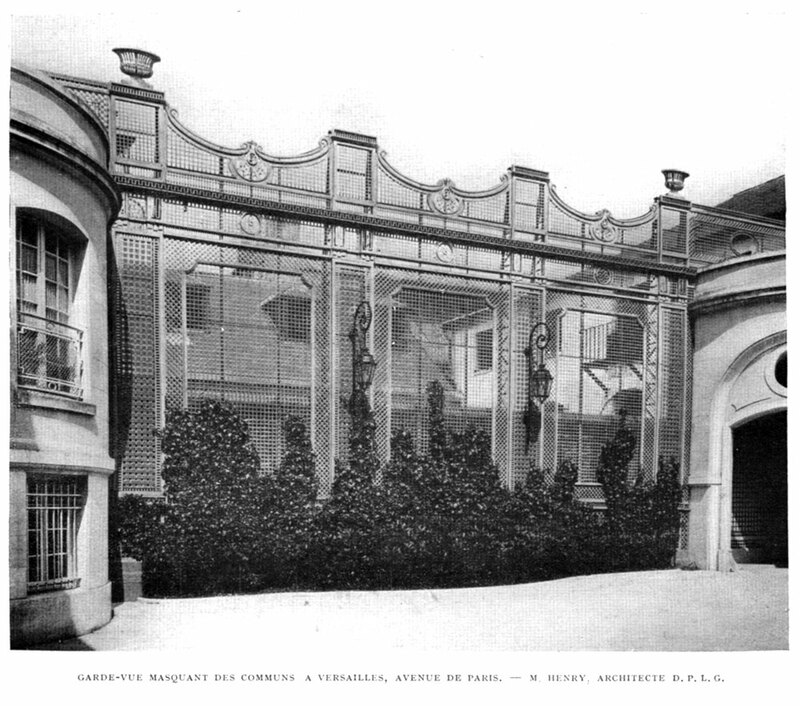 1910, Tricotel made amongst others three signature projects for Achille Duchêne: walk-trellis Embassy of Austria, today the Hotel Matignon, the trellis of the mansion Moses Camondo today Musée Nissim de Camondo and Lounge at Mrs Castle Champs-sur-Marne. 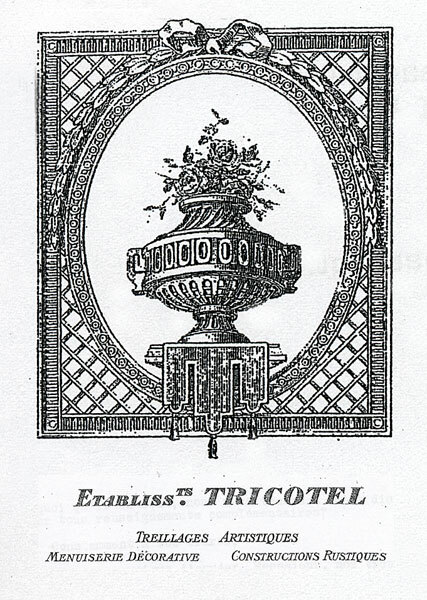 In 1980, created the first Tricotel range of trellis panels standard range has been enriched from a hundred models and has a wide spread of decorative trellis. 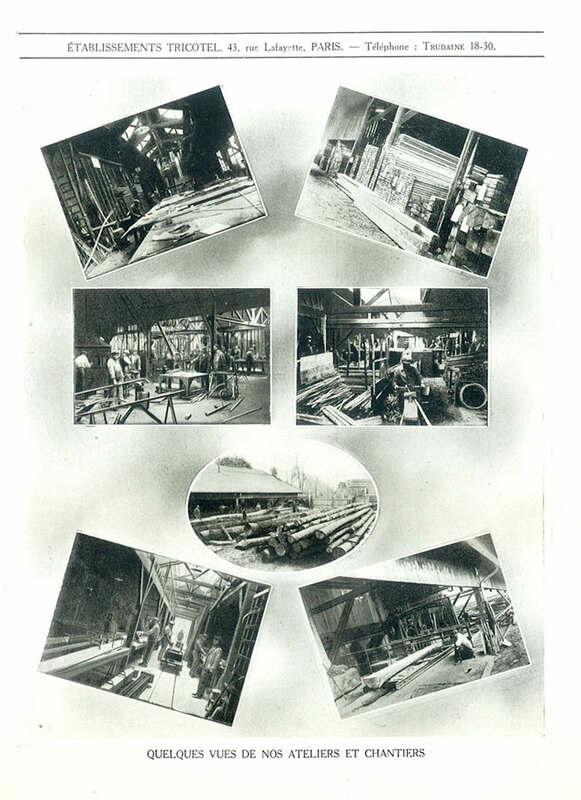 Today, the work is focused primarily on the mesh of measures and also includes the manufacture of metal structures. 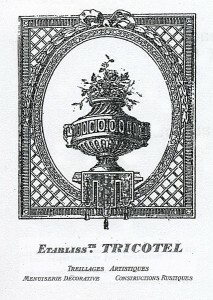 The planters, vases and furniture trellis are also part of the offer Tricotel. 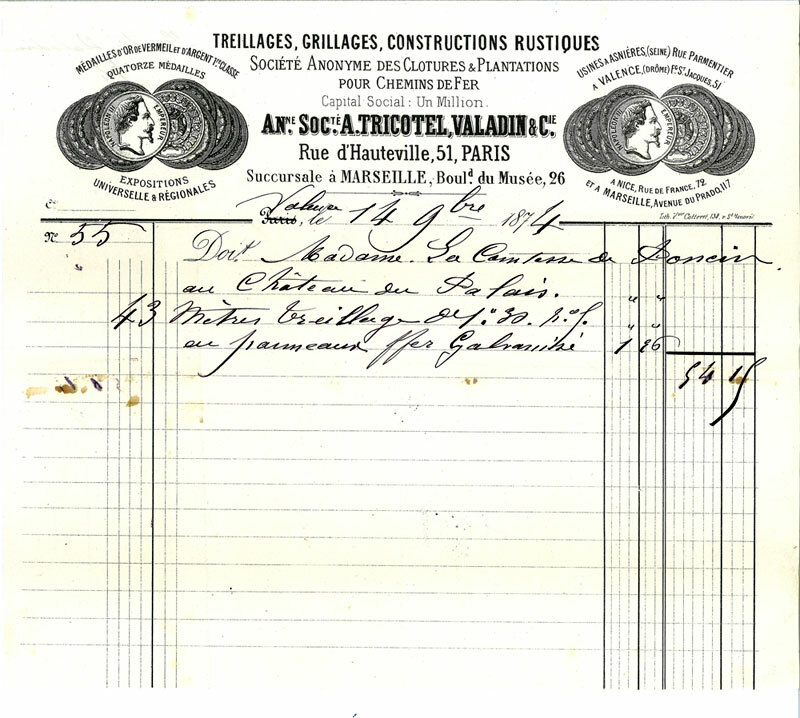 Neglected for decades, the lattice gives rise nowadays a renewed interest and Tricotel after more than 160 years of operation, continues with the same enthusiasm always the art of French tradition. 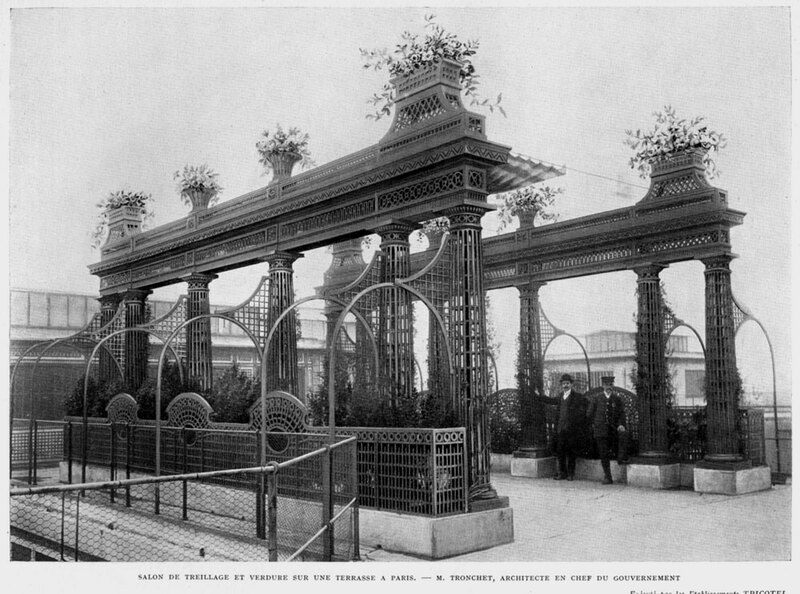 After a long decline since the late eighteenth century, the art of trellis reappear in the second half of the nineteenth century with major restoration of parks and gardens. 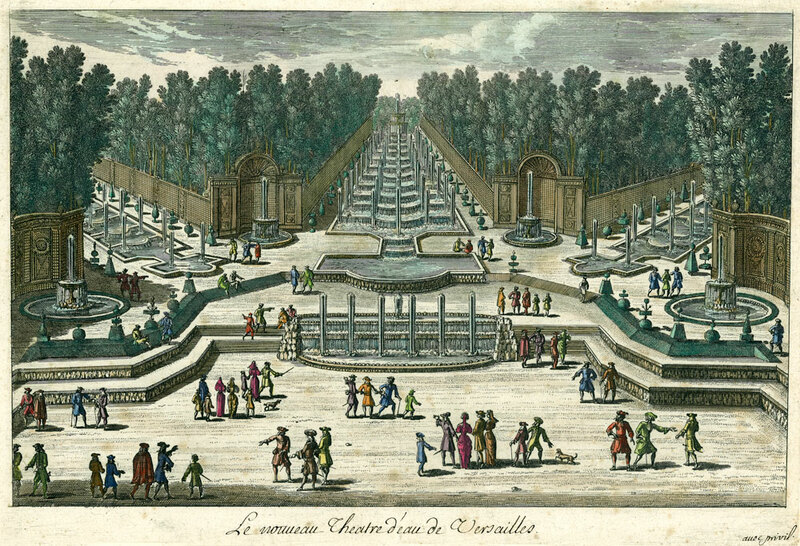 The treillage, a mainly French art during the reign of Louis XIV or gardeners created to support vines or vines, hence the name of trellises. 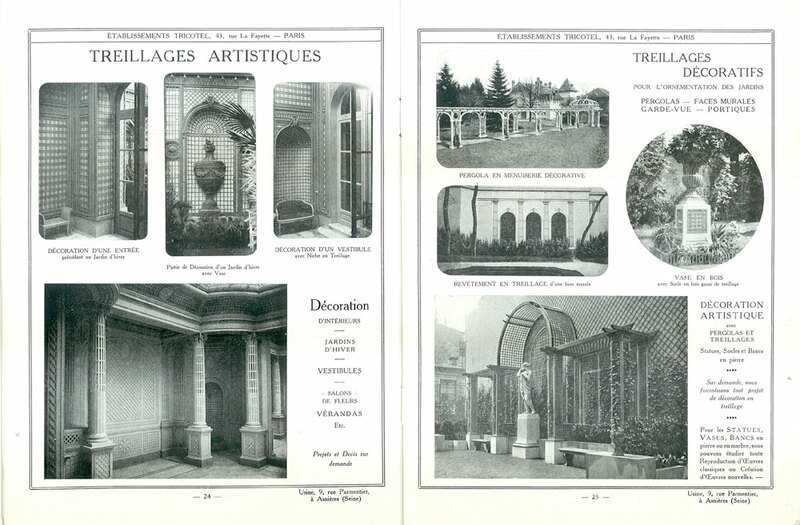 Lenotre famous designer of parks and gardens, and Jules Hardouin-Mansard first architecture of the Sun King, made it wider application, they brought great improvements in the design of these architectural forms that are now a major ornaments of parks, gardens and flower exhibitions.